My name is Mr. Pravakar Patra , a resident of Cuttack, Odisha lives with my wife Mrs. Lina Patra and my 6 years old daughter Payal Patra. To run my family i do run shop to shop on daily basis to supply bakery products and get an amount of Rs. 5000/- - Rs. 7,000/- per month. 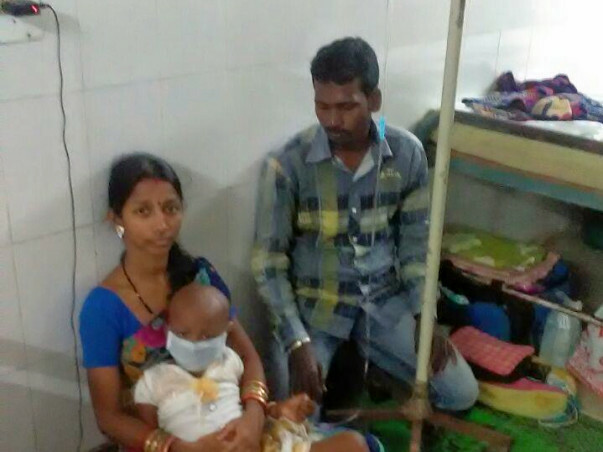 6 Months before my only daughter was diagnosed with Blood Cancer (Type - BLL) and now undergoing treatment in Acharya Harihar Regional Cancer Centre, Cuttack. Within this 6 months of time period i have spent all my savings, ornaments and i do not have anything left now to proceed for her treatment as far as Chemotherapy, Radiotherapy and Medicine expenses are concerned on day-to-day basis. As I am unable to pay so the treatment is going on the hospital floor without a bed. 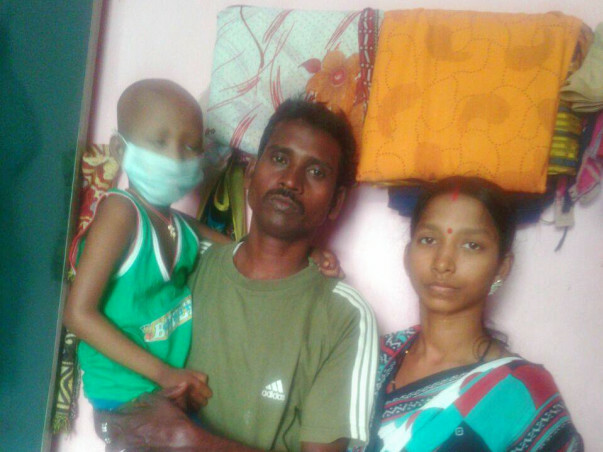 While the treatment is going on, my daily job is kind of stopped and i am now at your door step begging monetary help along with your kind blessings. We have mentioned the goal as 6 lakhs as the extra 3 lakhs will be used for post operative care. 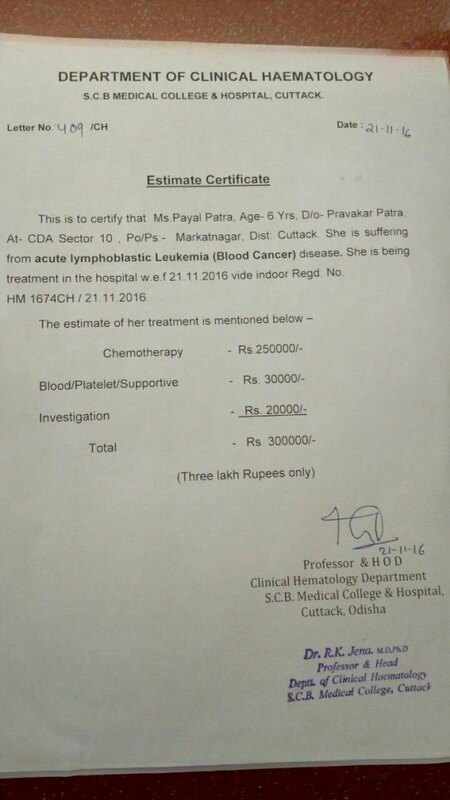 Here is a quick update on Payal Patra. Payal is currently at home and is doing good. She is undergoing chemotherapy and has completed four chemo sessions. She visits the hospital for regular checkups. The doctors are of the opinion that she has to undergo treatment for three years to recover. Thank you for your support and love for Payal.